P&L accounts will not be handled by this type of rule. P&L accounts needs to be handled by generic type rules. Please notice that the details rules are set to ‘Periodic Calculation’. 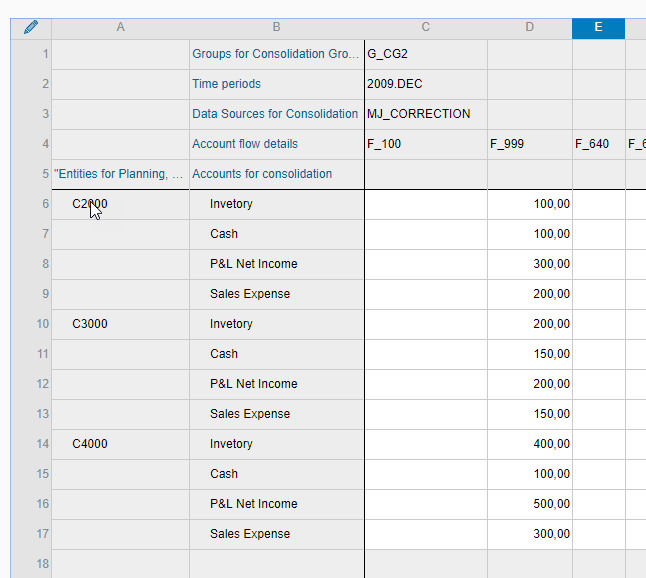 The elimination result is saved in the target audit id, AJ_ELIM, with correct amount. 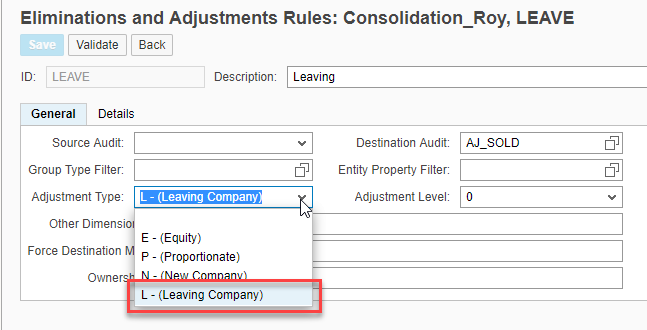 Define a new elimination rule with rule type ‘L’ and target audit id ‘AJ_SOLD’, no details needed. 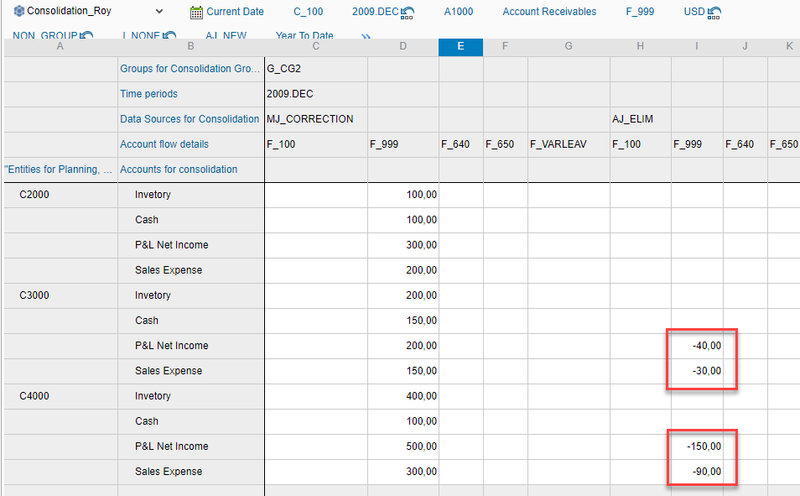 This rule will only handle the Balance Sheet accounts. For the P&L rule, add a new line for ‘L’ method which will reverse all P&L amount with a different target flow with YTD basis. For corresponding multiplier, it only works for method ‘L’ (20). In 2010.Feb, entity C4000 was sold during the middle of the year. 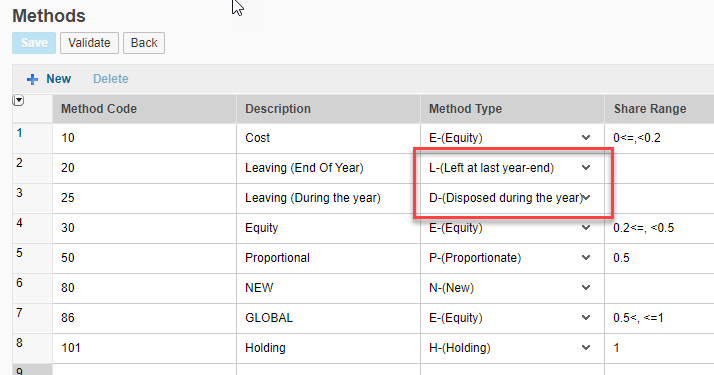 For P&L rule, add one addition detail line for ‘D’ method to only reverse the P&L accounts after the disposal, which is set with ‘Periodic Calc’ with a different target flow member. What about the case when integration rule is enabled?